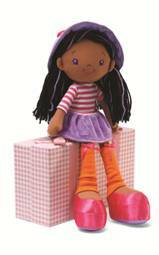 Introducing the NEW GUND Girls for Your Little Fashionista! : Giveaway! 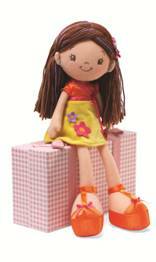 You are here: Home / Archived Content / Introducing the NEW GUND Girls for Your Little Fashionista! Introducing the NEW GUND Girls for Your Little Fashionista! Giveaway! School is out for the summer soon and what a better way to enjoy the summer than with new friends! GUND Girls are the perfect pals for some fun in the sun! · Sloan is a California girl. There’s a friend for every little girl! GUND Girls are perfect for summer road trips, beach days, and camp. Summer memories are always the best when your friends are around! · She’s a big city girl! · Her style is super girly! · She loves to shop with her friends! · She loves hanging out on the beach with her friends! • She loves having dance parties with her friends! • She also loves painting and anything with stripes! · She loves traveling and having adventures with her friends! · Her favorite color is violet like her eyes! We received Sloan & Emma from our friends at Gund and they are just adorable! I don’t have a daughter but my friend’s little girl just loves them and has been taking them everywhere with her this summer! Her favorite thing to do with them is have tea parties and take them to the movies. 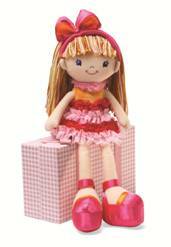 For more information or to purchase a GUND Girl for your little one, go to the website! But, we also have exciting news! 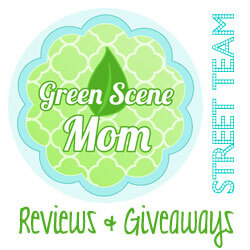 Gund has teamed up with us for a summer giveaway! One winner can win their choice of one of the 4 Gund Girls! 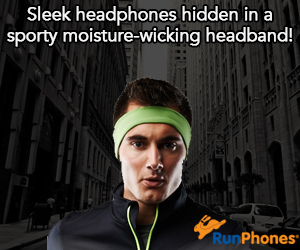 First you must be a subscriber to enter! Next, go to the Gund Facebook page and “like” them! Go ahead and tell them we sent you! 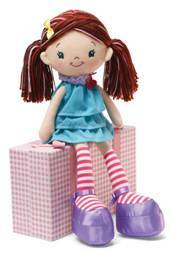 Next, leave a comment below telling us which Gund Girl you would hope to win and who you would give it to! Deadline to enter is July 30th, 2012 at 12 pm. One winner will randomly be selected from all entries. 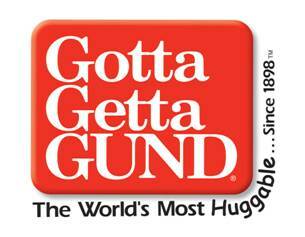 You can also find Gund on Twitter and Pinterest! My niece would love Slaon too! My daughter would love Sloan! My daughter would love Brooklyn and her ruffly dress!